This compact, fully rugge­di­zed tablet is the latest member of the Android series from Pana­so­nic Tough­book: sturdy yet elegant. Easy opera­tion and supe­rior features. Low weight and yet tough. 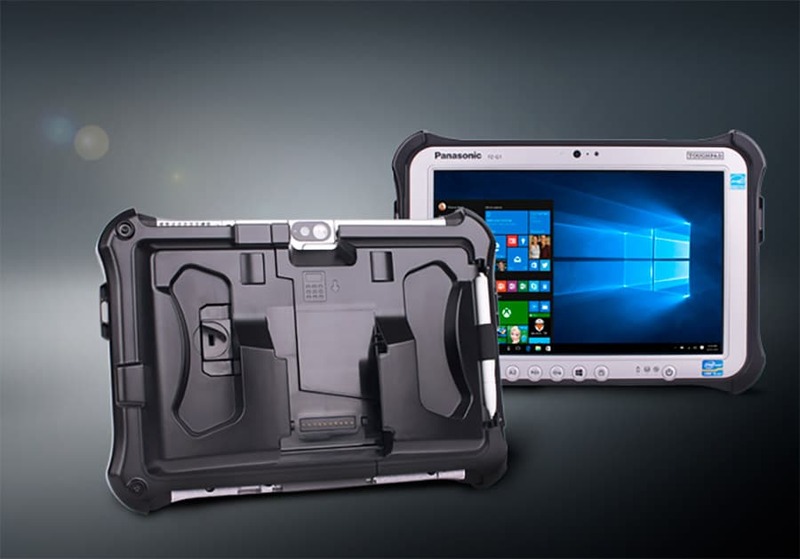 Panasonic has been re-launching its popular and fanless fully ruggedized Windows Tablet FZ-M1. Mobile employees benefit from an even more flexible and adaptable 7 “tablet. The Pana­so­nic Tough­pad FZ-M1 Mk3 Stan­dard features a power­ful, seventh genera­tion Intel Core i5 proces­sor. The proces­sor deli­vers maxi­mum perfor­mance with very low energy consump­tion, which mini­mi­zes heat genera­tion and further impro­ves runtime. The device is also equip­ped with a 700cd/m² bright display with anti-reflec­tion and protec­tive coating. This gives users a perfect view of the capa­ci­tive 10-finger touch­screen. In the Value model, in addi­tion to the impro­ve­ments on the display, the memory was doubled to 4GB RAM and it features the power­ful Intel Cele­ron proces­sor N4100. 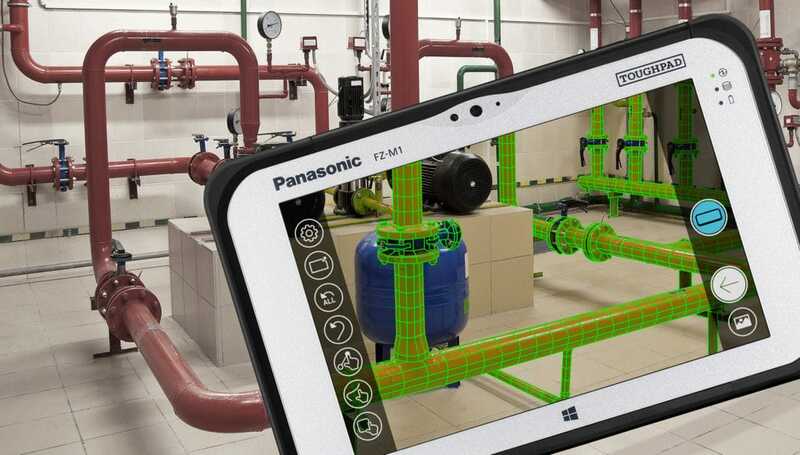 Sygic joins Panasonic’s Independent Software Vendor Program to provide mobile navigation solutions in the rugged Panasonic Toughbook notebooks as well as Toughpad tablets and handhelds. 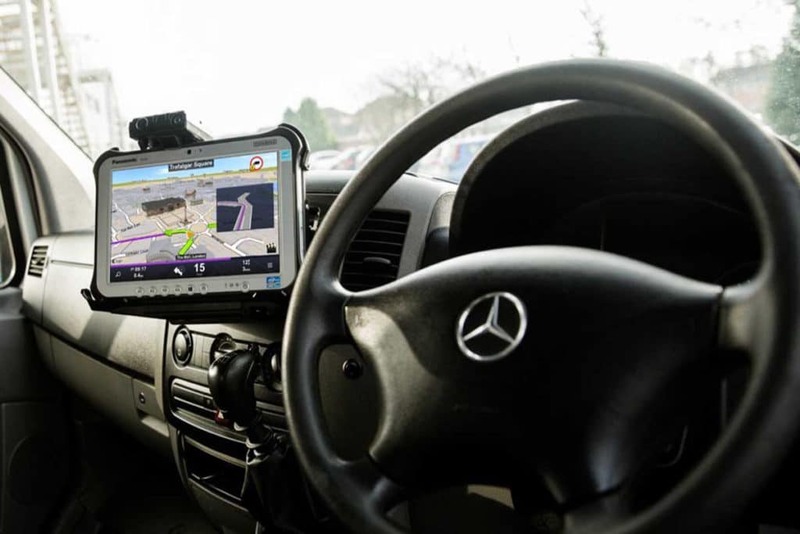 Sygic navi­ga­tion, mapping and routing solu­ti­ons are desi­gned speci­fi­cally for the trans­por­ta­tion and logistics indus­tries, mobile workers and emer­gency services , Sygic is already being used by over 2,000 vehi­cle fleets and milli­ons of profes­sio­nal drivers around the world. 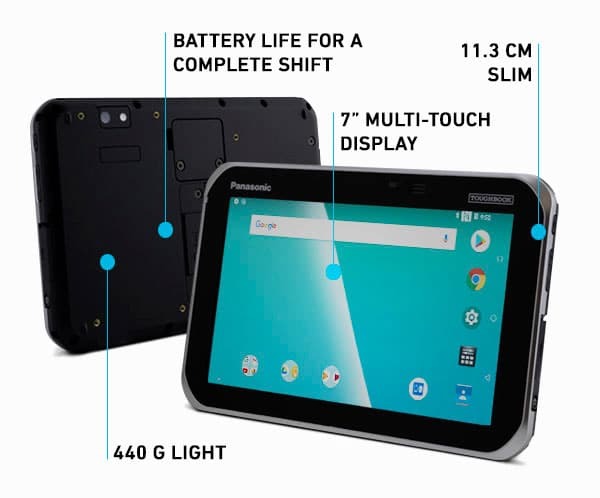 The appealingly designed yet durable 5 “Android device Panasonic FZ-T1 is the ideal all-rounder for mobile workers in many different sectors and industries, including retail and hospitality, manufacturing, transportation and logistics. It combi­nes the advan­ta­ges of hand­held and smart­phone in a single, robust device: tele­phone func­tion, mobile access to the Inter­net, inte­gra­ted barcode scan­ner and a wide range of access­ories right from the market. At the begin­ning of 2019, the FZ-T1 will also be avail­able with auto-range barcode scan­ners. The 240g light FZ-T1 is certi­fied to MIL-STD-810G and survi­ves falls from up to 1.5m in height. In addi­tion, it is dust­proof and water­proof accord­ing to IP68 and remains reli­able even at tempe­ra­tures from -10 to +50 ° C. The sunlight-ready 5″ display features 10-finger multi-touch, screen protec­tor and can be opera­ted via touch screen, with an optio­nal pen, with gloves on and even in the rain. The Tough­book FZ-T1 is desi­gned for use in full-shift opera­tion and offers a battery life of 12 hours with hot-swap battery repla­ce­ment func­tion. 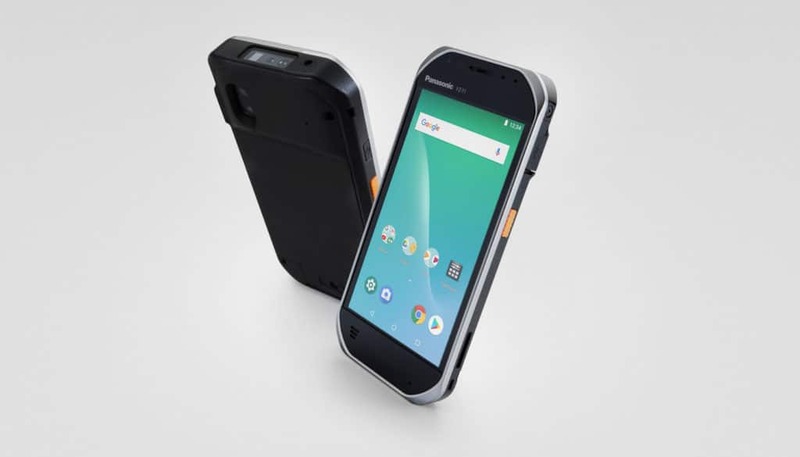 The Pana­so­nic Tough­book FZ-T1 will be avail­able in two versi­ons: Only with WLAN or with WLAN and LTE network connec­tion for tele­phone func­tion and mobile access to the Inter­net. Both vari­ants have a Qual­comm Snap­dra­gon quad-core proces­sor, 16 GB of memory and 2 GB of RAM. On the back is an 8 MP camera for docu­men­ta­tion purpo­ses inte­gra­ted. The device is equip­ped with the latest noise cancel­la­tion tech­no­logy. The opera­ting system is Android 8.1 Oreo preinstal­led. The FZ-T1 has a high quality strai­ght barcode scan­ner and one scan button on each side of the device. A pistol grip for the version with stan­dard barcode scan­ner is avail­able as an option on the market, a handle for the version with long range barcode scan­ner will be optio­nally avail­able from the begin­ning of 2019. The grips are ideal for users who need to perio­di­cally scan or remo­tely scan wareh­ouses and forklift opera­ti­ons. In addi­tion to the pistol grips for conve­ni­ent scan­ning, single and multi­ple char­gers, hols­ter straps, battery packs, passive stylus pens and screen protec­tors will be avail­able. For easy manage­ment and high secu­rity, the device is compa­ti­ble with Pana­so­nic Compass (Complete Android Secu­rity and Services) 2.0. 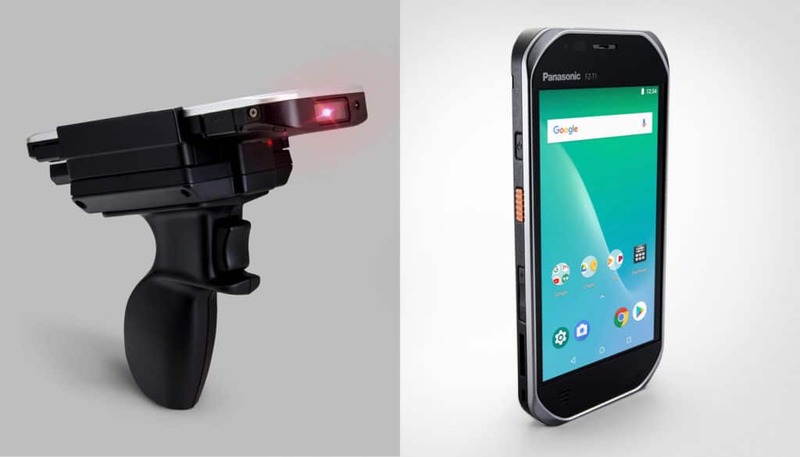 Pana­so­nic COMPASS provi­des busi­nes­ses with ever­ything they need to secu­rely deploy and manage their rugged Pana­so­nic Android devices. Pana­so­nic devices also include Google Mobile Services (GMS), a collec­tion of Google appli­ca­ti­ons and APIs that support cross-device func­tio­n­a­lity. The Panasonic Toughbook FZ-T1 with Wi-Fi is available from August 2018 for a price of € 1,270 (plus VAT), the version with LTE from September 2018 from € 1,350.- (plus VAT) and comes with a three-year standard warranty. Panasonic vergrößert seinen Umsatzanteil im Markt für robuste Notebooks und meldet im Jahresvergleich ein Umsatzanteilwachstum von 176 % im Markt für robuste Handhelds in Europa. Pana­so­nic hat seine Posi­tion als Euro­pas führen­der Anbie­ter von robus­ten Mobile Compu­ting Lösun­gen laut der neus­ten Markt­ana­lyse von VDC Rese­arch gefes­tigt. 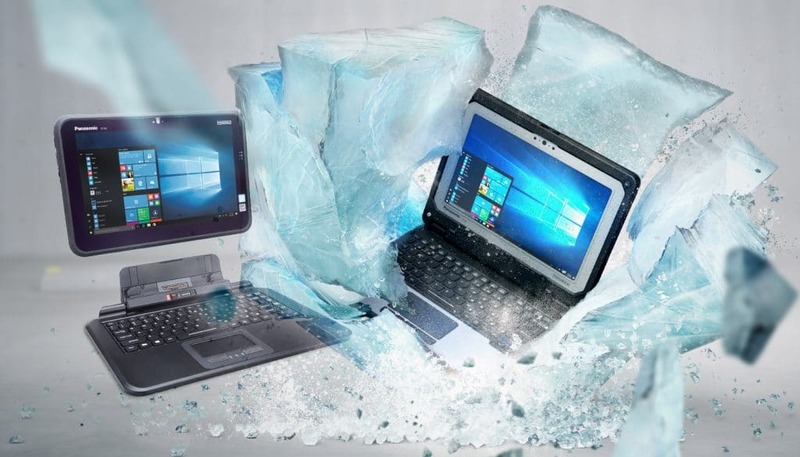 Mit den Produk­ten der Marke TOUGHBOOK stei­gerte Pana­so­nic seine Markt­füh­rer­schaft im euro­päi­schen Markt für robuste Note­books auf 67 % Umsatz­an­teil in 2016. Die Marke TOUGHPAD führt mit 56 % Umsatz­an­teil den euro­päi­schen Markt für robuste Tablets an. Die Expan­sion in den euro­päi­schen Markt für robuste Hand­helds beschleu­nigte stark mit einem Wachs­tum von 176 % des Umsatz­an­teils im Jahres­ver­gleich 2015 auf 2016. Pana­so­nic is curr­ently deve­lo­ping soft­ware that can be down­loa­ded direc­tly to your device to diagnose and moni­tor battery health. This is to avoid the risk of a possi­ble spon­ta­ne­ous igni­tion of the battery. The soft­ware is expec­ted to be avail­able by the end of May 2018. 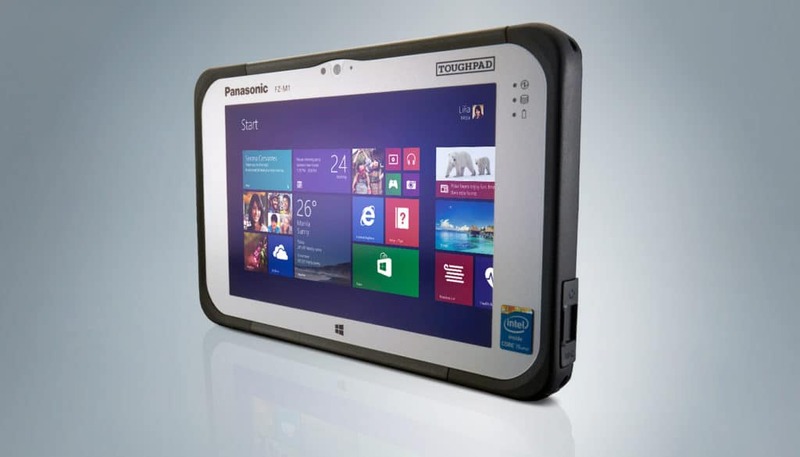 The rugged Panasonic Toughpad FZ-M1 tablet with Intel RealSense 3D camera is ideal for precise 3D measurements. This opens up new opportunities for a variety of applications and industries. Panasonic presents a new integrated, mobile point-of-sale solution based on the all-rounder Toughbook FZ-G1. The newly developed mobile payment device holder perfectly connects the 10″ tablet with world-leading mobile payment solutions such as the Ingenico iSMP4. The inte­gra­ted device mount makes the Pana­so­nic Tough­book FZ-G1 the ideal mobile point-of-sale (mPOS) solu­tion for the retail and hospi­ta­lity indus­tries. Espe­ci­ally in tasks such as Queue Busting, taking orders and paying direc­tly at the table, sales support, shop­ping on board aircraft or field staff, it is ideal. Pana­so­nic Busi­ness has put toge­ther a retro­s­pec­tive of the event and also has the lectures avail­able for down­load. Panasonic Computer Product Solutions has decided to recall some Toughpad FZ-G1 series batteries. Here you will find the official announcement from Panasonic. Panasonic feiert den 100. Jahrestag der Gründung der Panasonic Corporation durch Konosuke Matsushita. Seit der Grün­dung im Jahr 1918 hat sich Pana­so­nic der Verbes­se­rung des Lebens der Menschen verschrie­ben. Dieser Anspruch zeigt sich auch heute noch in der Vision des Unter­neh­mens, “A Better Life, A Better World”. Vom ersten Anschluss­ste­cker im Jahr 1918 über das elek­tri­sche Bügel­eisen in den 1920er Jahren bis hin zu den ersten Wasch­ma­schi­nen, Fern­se­hern und Kühl­schrän­ken in den 1950ern – die inno­va­ti­ven Produkte und Lösun­gen von Pana­so­nic haben immer die Bedürf­nisse der Menschen adres­siert. In a survey of buyers, Panasonic takes the top spot in the categories Overall Satisfaction, Business Needs Assessment, Hardware Performance, and Technical Support. With easyJet, one of Europe’s leading low cost carriers uses the Panasonic Toughpad FZ-F1 for scanning tickets and for the boarding of Passagiere at Geneva airport. The rugged handhelds have proven to be a powerful alternative to stationary airport equipment. The new mobile solu­tion makes pre-flight boar­ding faster and more effi­ci­ent, even if the gate needs to be chan­ged at short notice. So delays can be preven­ted. Due to the success of the new system, easy­Jet is consi­de­ring intro­du­cing the new system to other airports in Europe as well.